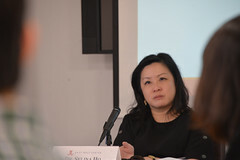 I recently testified before a House Appropriations Subcommittee in support of providing federal funding for the East-West Center in the Fiscal Year 2012. 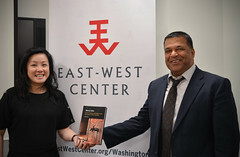 The East-West Center is pure public diplomacy in action and I wanted to make sure my colleagues appreciated the value of the Center as much as I do. I encourage you to read the attached statement (PDF file) for more on my stance. 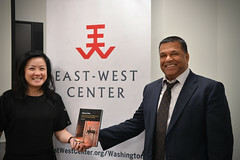 Congress established the East-West Center more than a half century ago. You can be sure that as a Member of Congress, I will continue to support this important institution for public diplomacy. This entry was posted in Current Events and tagged Congresswoman Hirono, House Appropriations Subcommittee, Mazie Hirono, Mazie K. Hirono. Bookmark the permalink.